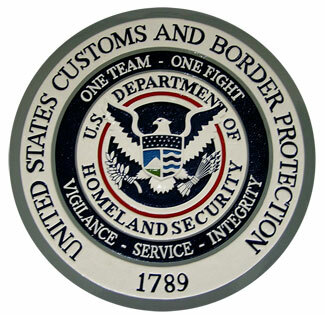 In all of the areas of the supply chain, there is one group that you really want to keep in good standing with, US Customs and Boarder Protection. Not paying duty or not paying the correct duty amounts can not only affect your shipping costs in terms of fines, but it can completely change your company’s status with US Customs. If you are in good standing with US Customs, you can have quicker clearances, less inspections and therefore fewer disruptions to your supply chain when you ship ocean freight. So how do you know if you are in good standing? You may be a part of the CTPAT program or maybe you have direct ACH payments set up with US customs which makes it easier for customs. If you do not have either of these safe guards and you are suspect of your customs broker, you can check up on your broker by contacting customs directly. If you are clearing your shipments through your freight forwarder, you may be able to address any issues before going directly to customs. If you get a letter from US Customs or see pink notification sheets from US Customs, these are red flags. In fact any notice regarding payment is not generally good. They are letting you know that you are not in good standing or are paying your duties late. If you are getting more than 10% of your shipments delayed for inspection, you are not in good standing with US Customs. US Customs is not looking to hassle the average shipper. There are many companies out there who are committing fraud or are trying to import inappropriate goods to the United States and this is who they are looking for. If you can get in good standing with US Customs, you can save both time and money. If possible, joining the CTPAT program or just filing ahead and paying through ACH can go a long way to keeping your shipments from large percentages of inspections.